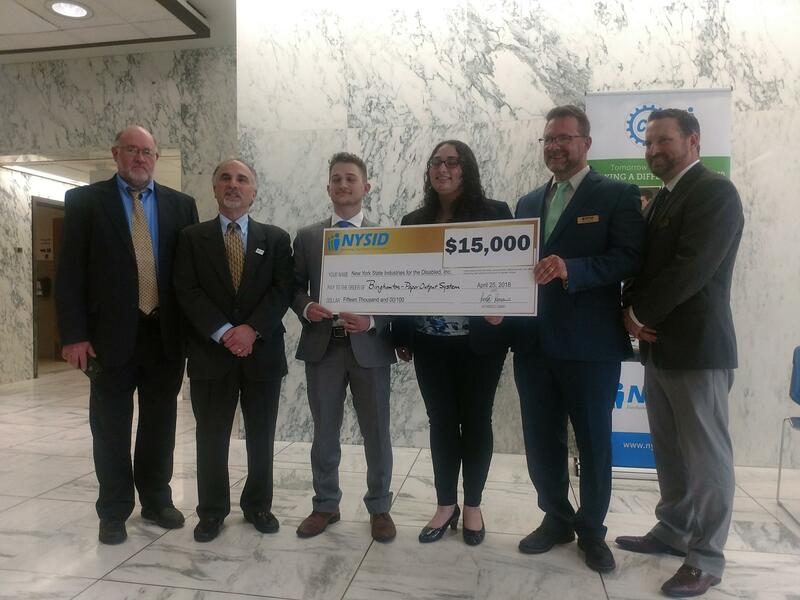 The New York State Industries for the Disabled held its fifth annual CREATE Symposium at the Legislative Office Building in Albany Wednesday. Engineering college students showed off inventions created for people with disabilities. 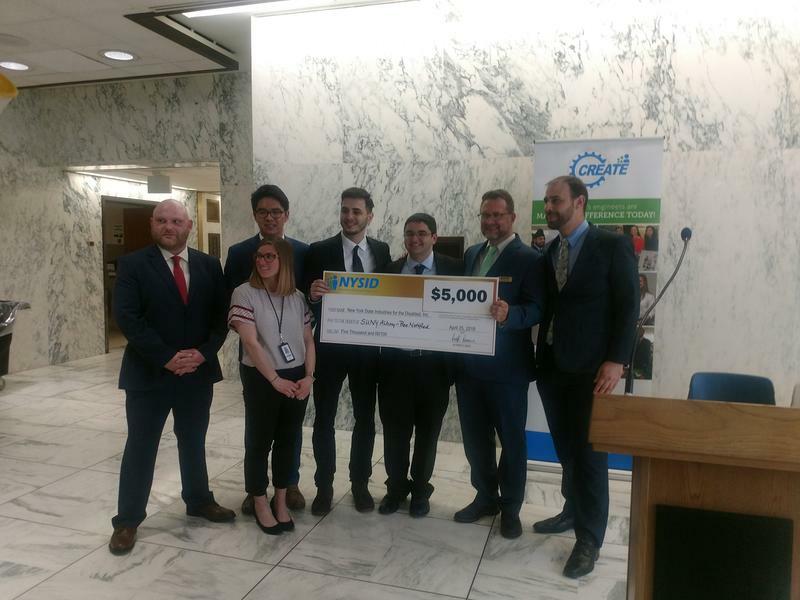 The Cultivating Resources for Employment with Assistive Technology effort is part of NYSID’s goal to create job opportunities for people with disabilities. Brian Bateman, NYSID’s Marketing Manager, says through contracts with the agency, companies across New York employ about 7,000 people with disabilities. “The unemployment rate for people with disabilities in New York is still around 70 percent. We actually rank 40th in the nation as far as employing people with disabilities. So we are mobilizing student engineers to develop assistive technologies as part of their capstone projects that will help people with disabilities in the workplace,” says Bateman. The program was created in 2012 with one school and one rehab facility, SUNY Maritime College and Goodwill Industries of Greater New York and Northern New Jersey, Inc. 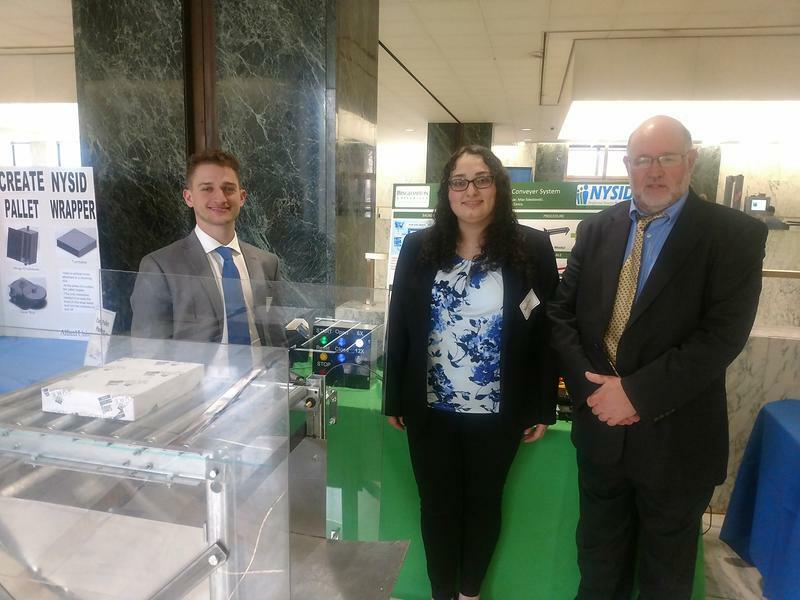 This year’s competition fostered 14 partnerships and introduced cash prizes for the top three projects. 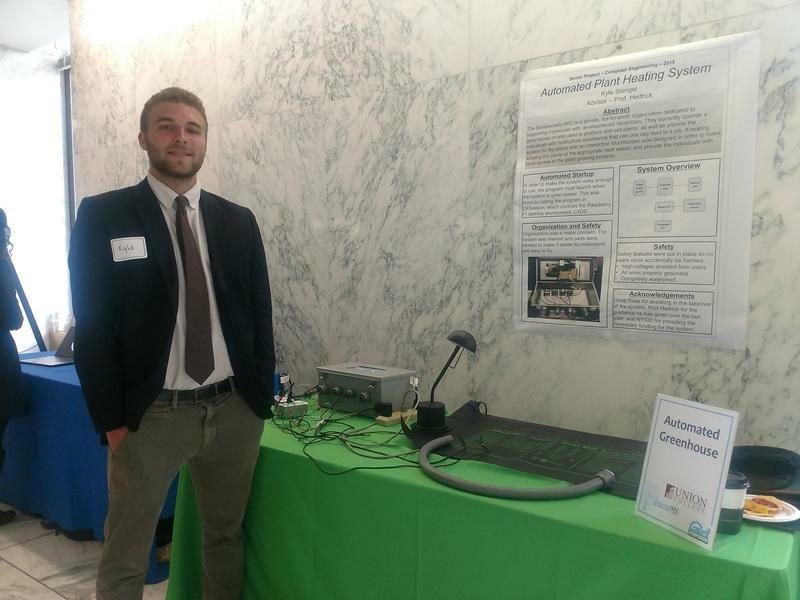 Among the participants was Kyle Stengel, a senior at Union College in Schenectady. Stengel worked with Schenectady ARC to create an automated plant heating system. He says Schenectady ARC operates a greenhouse and helps teach people with disabilities horticulture. Stengel said one of the obstacles was heating its greenhouse ceiling to the appropriate heat. Simply put, their system didn’t work. “The biggest problem was it was too hard for individuals with disabilities to use. So, I designed a touchscreen display with a pretty simple user interface that used the icons and pictures, so it could be really easy to operate, and could keep plants at the perfect heat that they need to grow correctly,” says Stengel. Stengel says the revamped system is almost ready to go. He’s finalizing safety measures and running final testing. 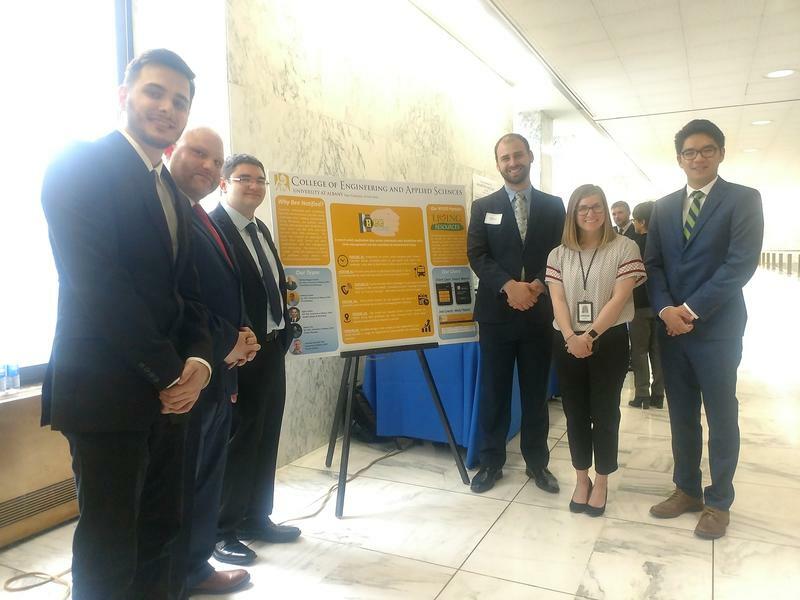 The University at Albany also entered the symposium with Bee Notified, a smart watch application that works to help individuals with time management and transition to independent living. 21-year-old Anthony Castro was on UAlbany’s team, which partnered with Living Resources in Albany. After an initial meeting, Castro says the group decided one of the biggest factors in helping people with disabilities succeed was getting them to where they need to be — on time. “We have an administrator portal. An administrator at Living Resources can build a calendar for users, associated with calendar events. Not only that, they can view users’ location. So let’s say Anthony needs to be at the CREATE Symposium by 10 a.m. today and I am at that event, they can view that I did make it to that event. If I didn’t make it to that event, they can be aware of that, and they can send a message directly to the user using our application,” says Castro. The competition judges included professional engineers and employees in disability services from around the state. Factors included students’ understanding of the problem, their coordination with partner organizations as well as the ease of use and the ability for partnering agencies to replicate project prototypes. 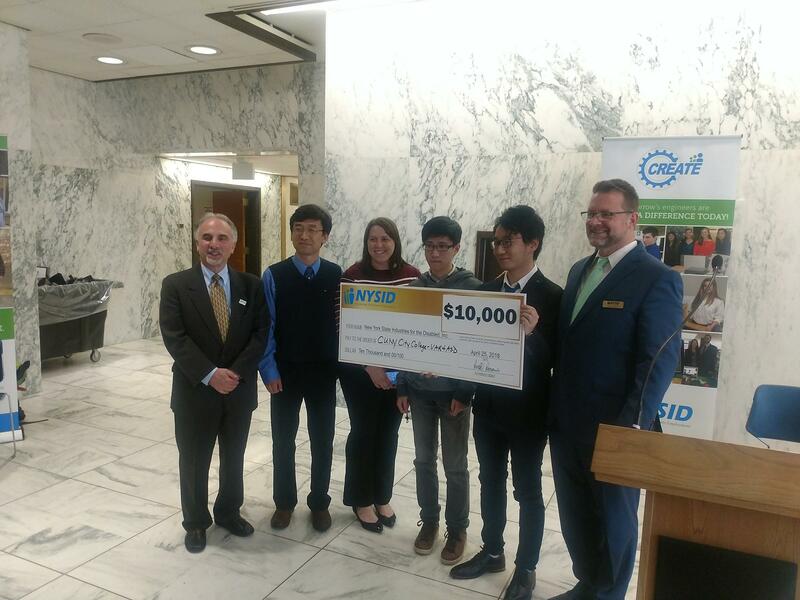 Binghamton University came in first place, winning $15,000. The team of six worked with the Association for Vision Rehabilitation and Employment based in Binghamton. Charles Gardner is the association’s director of manufacturing. “A.V.R.E.’s mission is to create opportunities for success and independence among people who are blind and visually impaired,” says Gardner. Natalie Zanco and Jack Lucas, both Binghamton seniors, represented the team at the symposium in Albany. 22-year-old Zanco says A.V.R.E. has a paper manufacturing plant, which is planning to increase its input from two reams of paper to four. “So by doubling their input, their current output can’t handle that. So we have created a new output system for them, which takes advantage of equipment they have currently and adds an additional lower conveyer as well. The entire system can be operated by legally blind employees, since 90 percent of the people on the manufacturing floor are legally blind,” says Zanco. UAlbany’s Bee Notified came in third, winning $5,000. CUNY City College’s virtual and augmented reality technology to assist individuals with Autism Spectrum Disorders came in second, garnering $10,000. Prizes go directly to the students involved with the winning projects.